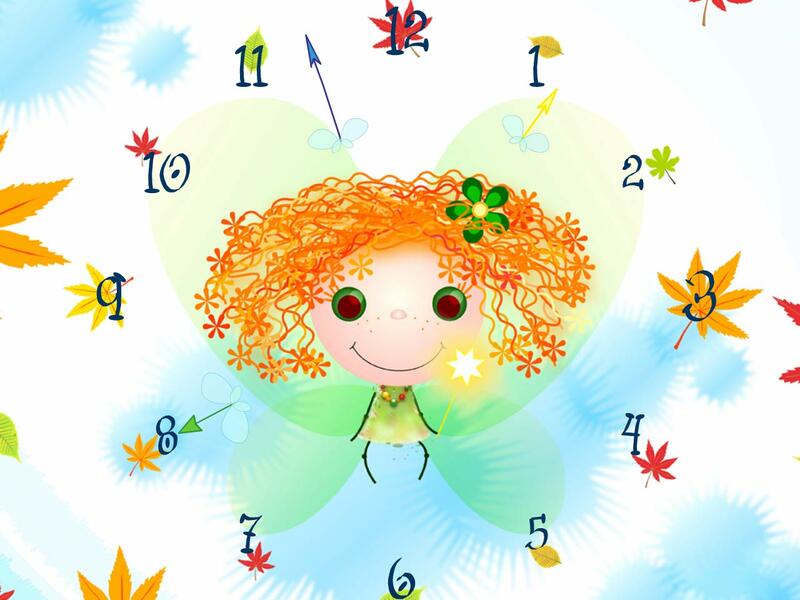 Elf Clock screensaver is a cute screensaver for those who love fairy tales! Elf Clock Screensaver is a great relaxing screensaver for those who like magic and fairy tales. It invites a small elf fairy for a visit. You can admire this magic creature as she illuminates your desktop with a radiant magic wand and a cheerful smile. You can see blooming flowers adorning her ginger hair and her deep green eyes making you forget about any bothers you have. Her pure image reminds of carefree childhood days when things were plain and simple. While the elf is hovering in the air, dutiful clock hands of various colors show hours, pointing to the digits encircling the little elf fairy. The clock digits are ornamented with different leaves and each clock hand has a transparent butterfly sitting on it. Altogether they make a marvelous clock screensaver with a nice palette of colors, perfect for serene relaxation. At times, when you get tired of the world's complexity, it's worth remembering that your mood varies greatly by your attitude to things. A glance at this soothing screensaver helps to keep in mind the true values of life and not to get upset because of some trifles. You will quickly refresh yourself and change your mood for better. Isn't this a kind of magic? With Elf Clock Screensaver you will remember that there should be some room for magic in everyone's life. The Time has come for the fairy tales!